A habitat is the natural setting where a plant or animal lives. There are many human and naturally occurring impacts to habitats, which can alter a species ability to live and thrive. 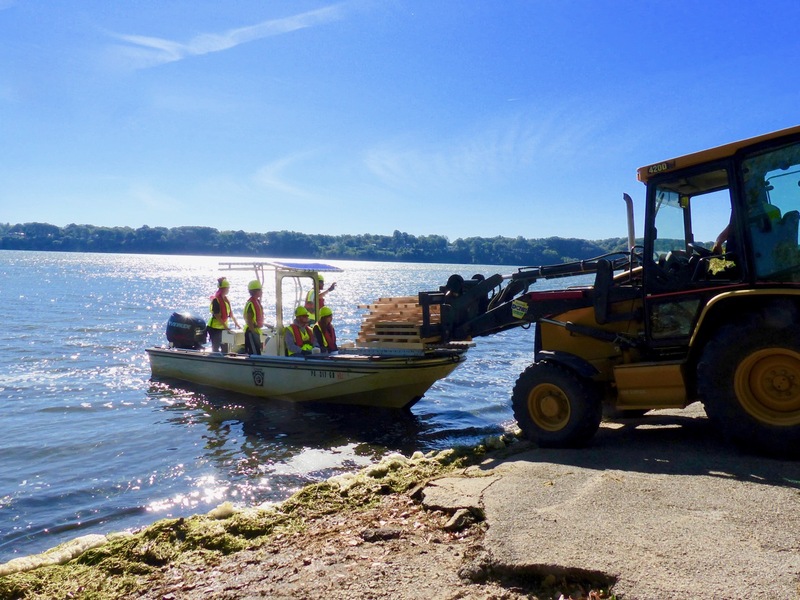 One of Pennsylvania Sea Grant’s partners, the Pennsylvania Fish & Boat Commission, works to enhance lake habitat for fish and aquatic species throughout Pennsylvania, including Presque Isle Bay, in Erie. 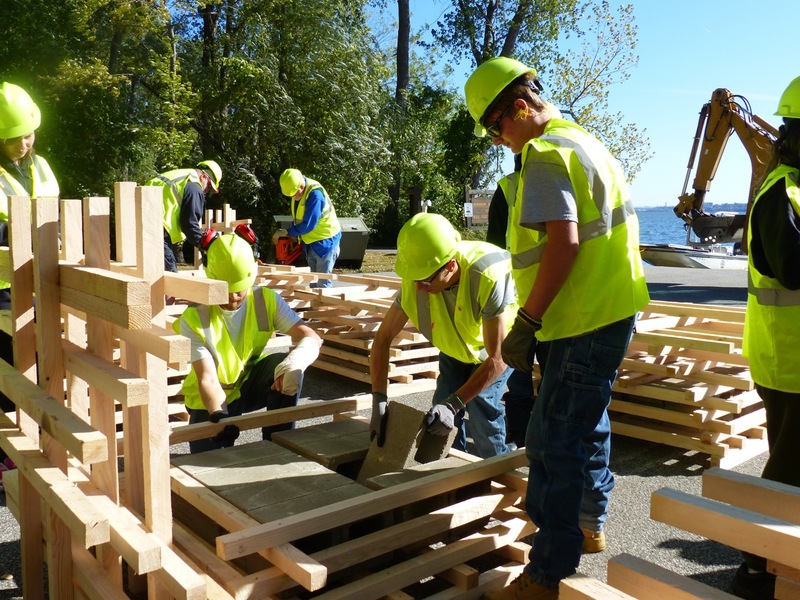 Enhancements are made through the installation of man-made structures that mimic natural fish habitat and result in healthier, more diverse aquatic communities. That’s good for the fish, anglers — and for the local economy, which relies on tourism and fishing. The structures offer cover and specific habitats that fish need for spawning and feeding so they can survive and thrive. They also provide newly hatched juvenile fish, called ‘fry,’ with protection and cover so they can survive and mature. 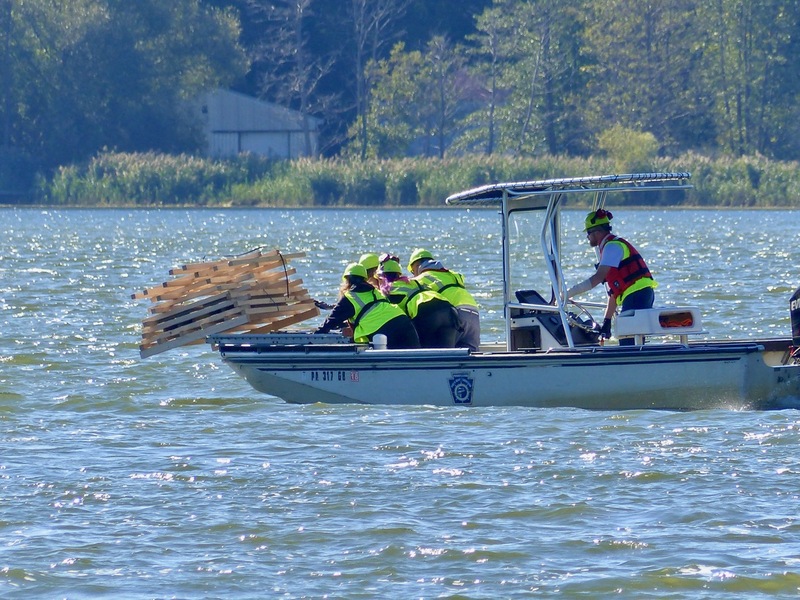 For twenty-three years, volunteers with the Erie-based organization, Save Our Native Species of Lake Erie (S.O.N.S. 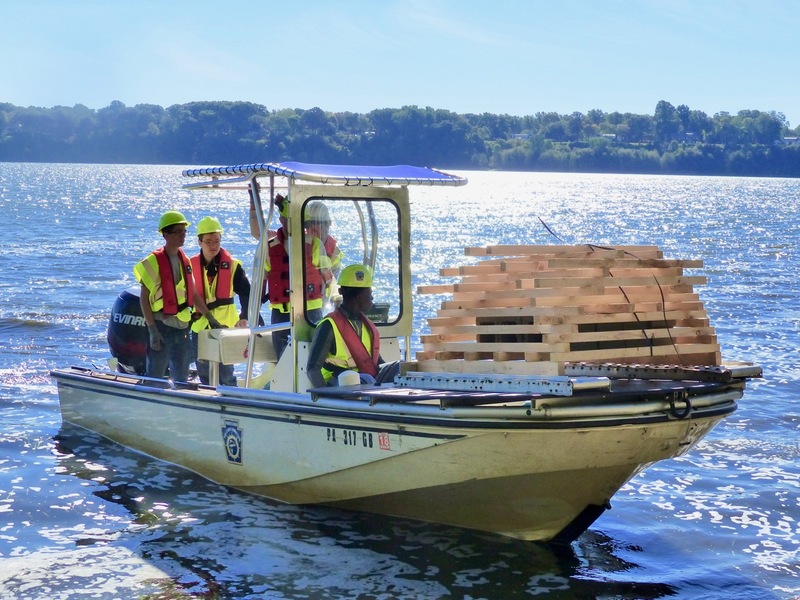 ), have been working with t he Commission, PA Department of Conservation and Natural Resources (DCNR), and PA Department of Environmental Protection (DEP) to build and deploy the habitat structures in Presque Isle Bay. Their efforts began in 1995, and continue to expand and broaden to make room for new partners - including Pennsylvania Sea Grant. Pennsylvania Sea Grant’s Maritime Education Specialist, David Boughton, saw the fish habitat enhancement efforts as a grand educational opportunity for local students, already engaged in PA Sea Grant’s Fisheries Science Program, to lend a hand and learn about aquatic habitats. 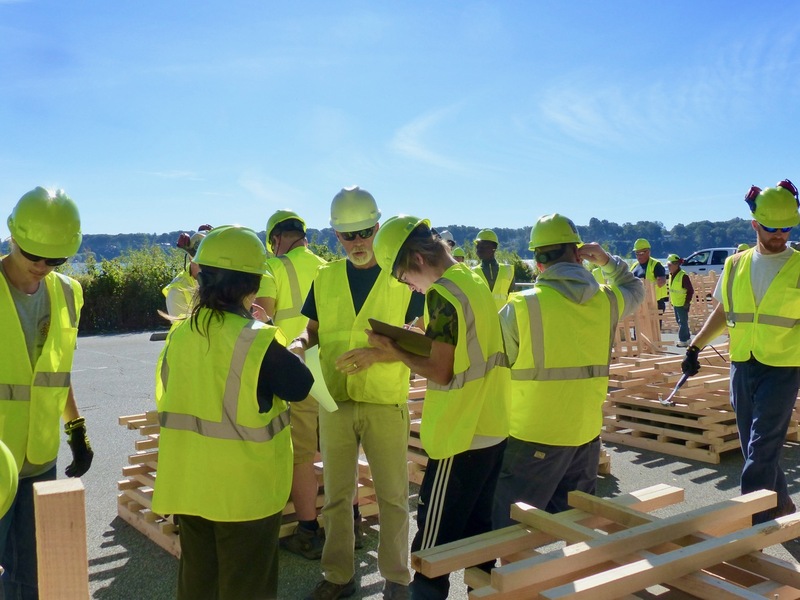 In 2011, Boughton and students from the Erie-region school district joined the Commission, DCNR, DEP, and S.O.N.S., in the effort to build, deploy, and monitor structures. Each year since, Boughton and students participate in the effort. 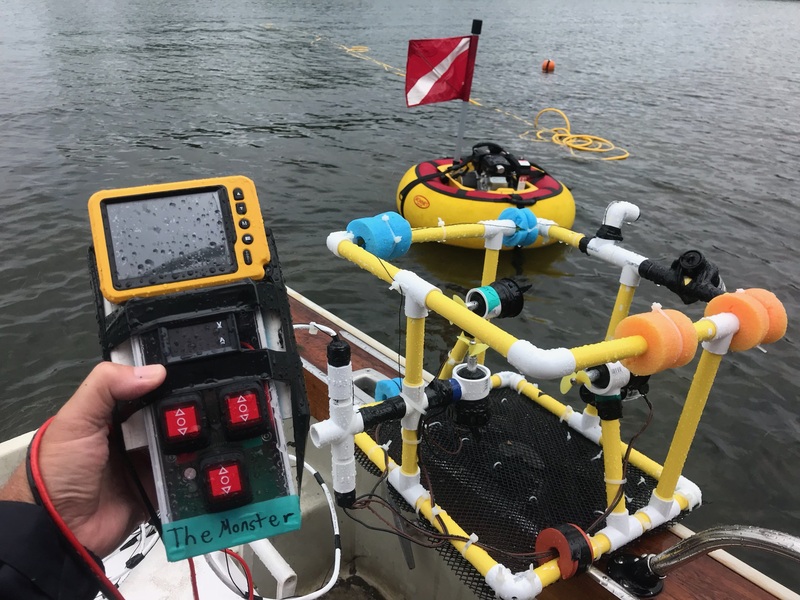 Recently, students participating in the "Lake Erie Shipboard Science" program had the opportunity to monitor the underwater activity using student-built underwater remotely operated vehicle (ROV) robots, which were built by another Sea Grant-led student activity. Volunteer-made structures have been part of the Commission’s habitat management for more than twenty years. Each structure has a thirty-year plus lifespan and are often made of native materials including wood, logs and branches from tree species like hemlock and pine, and rock rubble.There are generally three types of structures are used, with the most common being the porcupine crib. Students, Commission staff, S.O.N.S. 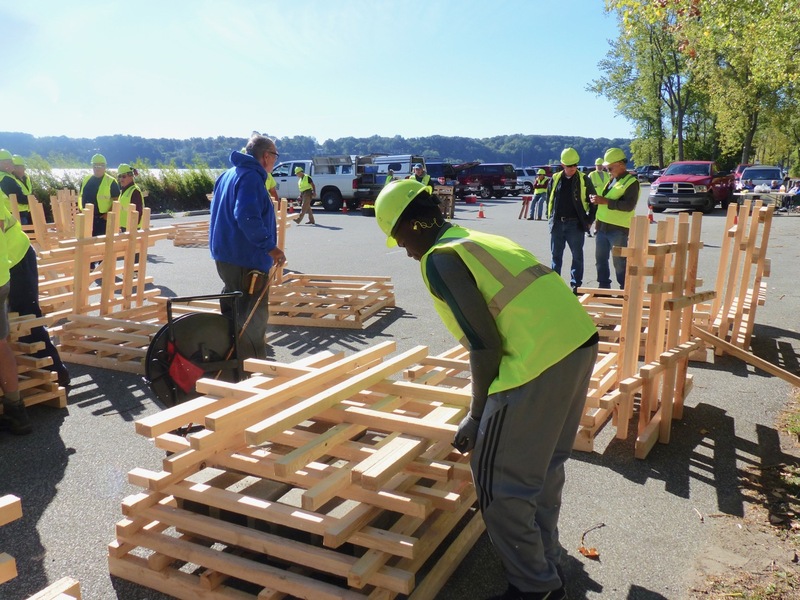 volunteers, and PA Sea Grant participate in building the structures, which can weigh up to 600 pounds. 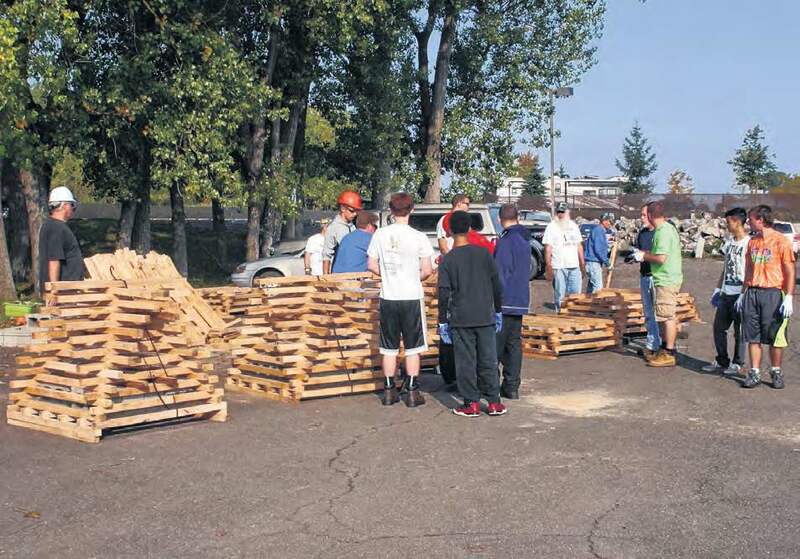 Each year, usually in early October, students, staff, and volunteers build a minimum of twenty structures. 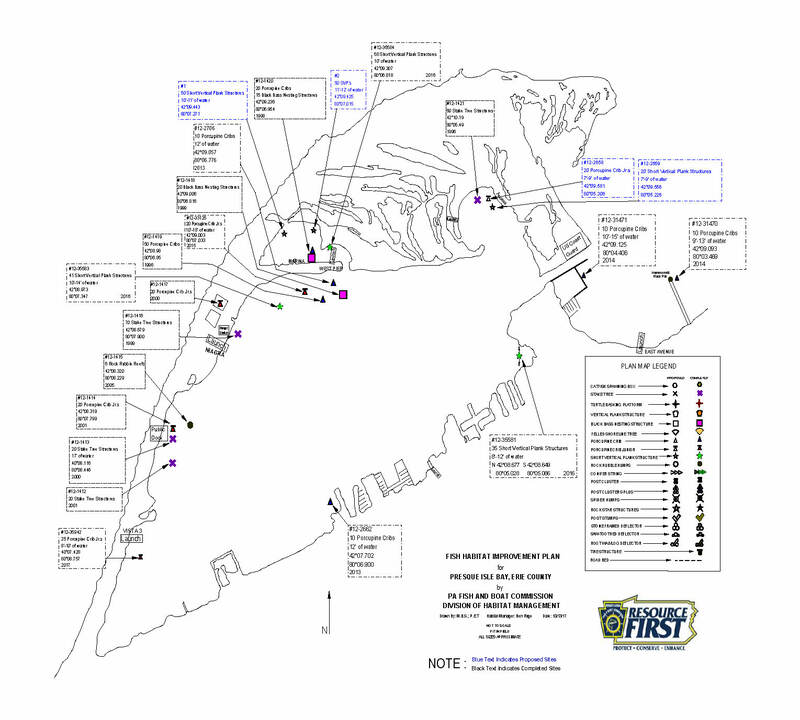 The structures are then loaded onto a specially designed PA Fish & Boat Commission boat and deployed into Presque Isle Bay, including sites near the Niagara Boat Launch, the outflow of Mill Creek, Hammermill cribs area, and the South Channel fishing area. 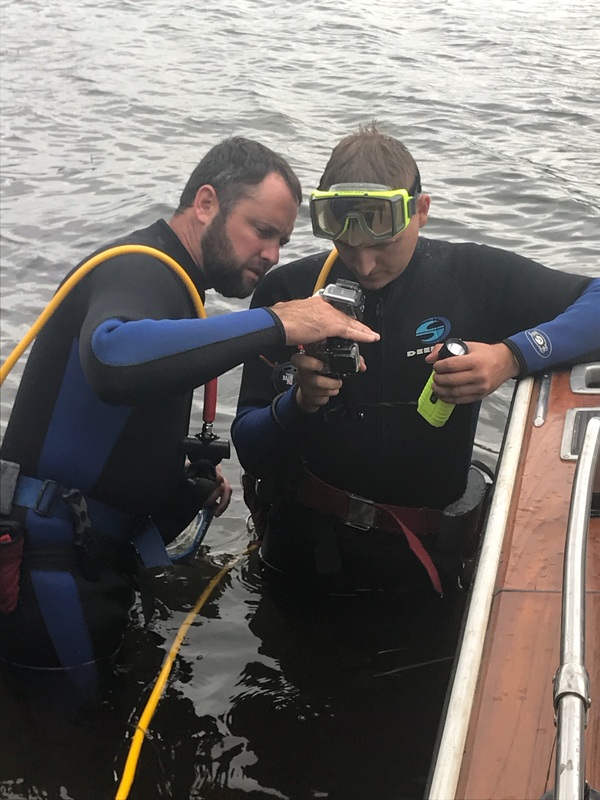 Summertime gives Commission biologists, PA Sea Grant, volunteers, and students the opportunity to survey existing structures to document fish counts and species identification. 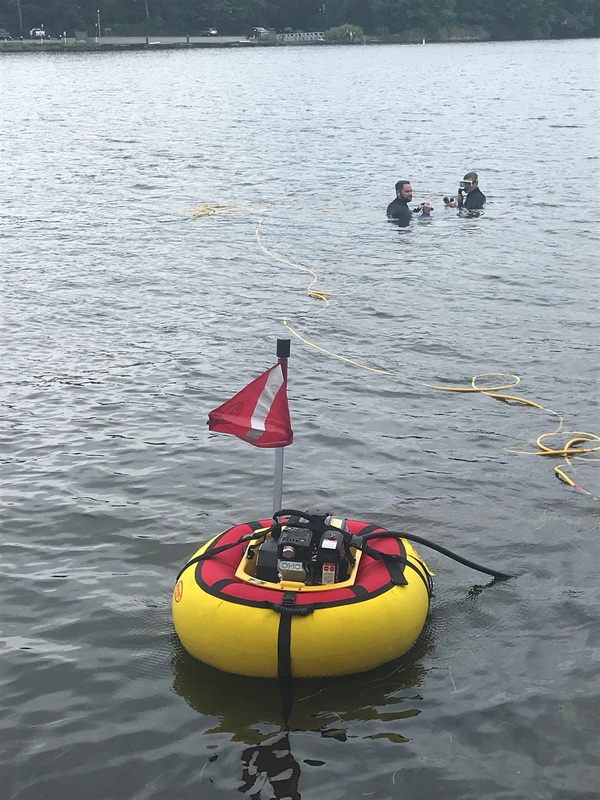 In early August 2018, Commission biologists completed an underwater survey of the structures using surface supplied air (Brownies Third Lung). Diving with surface supplied air allowed them to spend extended time underwater to survey the fish and how they interacted with the structures. 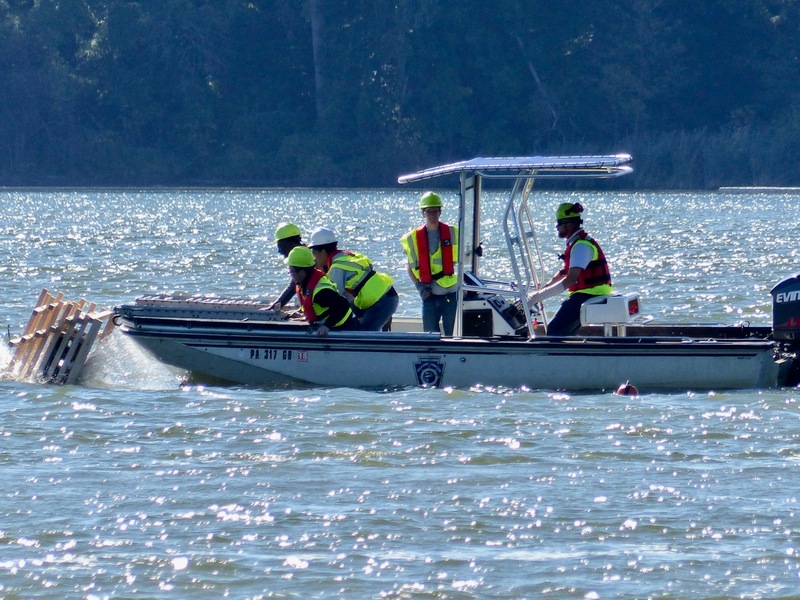 The August 2018 survey showed success - the biologists identified eleven different fish species and the structures were teeming with small native fry. 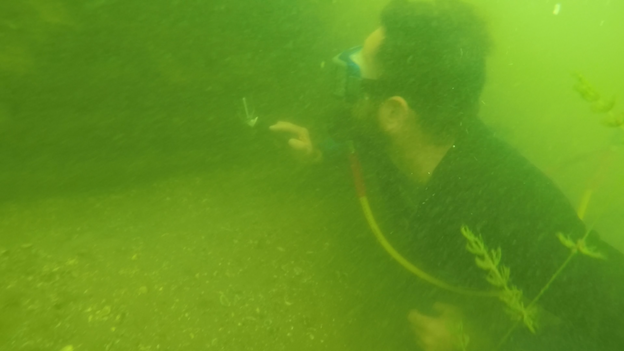 In addition, biologists noted that there were surprisingly few Round goby in the structures, Zebra mussel colonization was limited to the concrete weighted blocks, and that the structures had remained on the surface of the lake bottom versus being buried in the sediment. 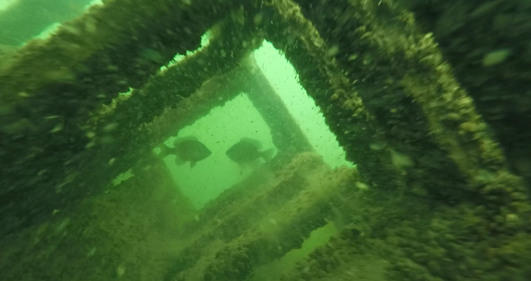 Watch the PA Fish & Boat Commission's underwater video! Surface supplied air diving equipment; PA Fish & Boat Commission habitat experts preparing underwater photography gear. 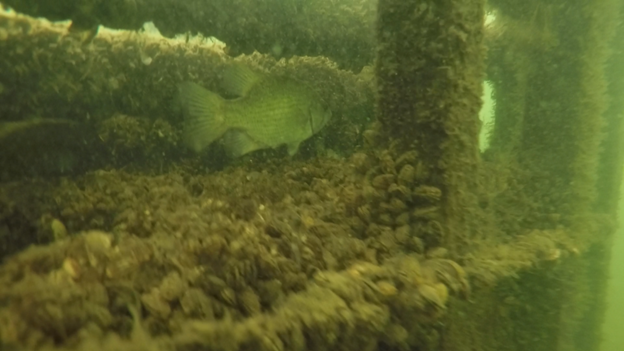 Underwater images of fish habitat enhancements, credit PA Fish & Boat Commission. Click on either of the underwater photos above to watch the underwater video footage shot and edited by the PA Fish & Boat Commission. 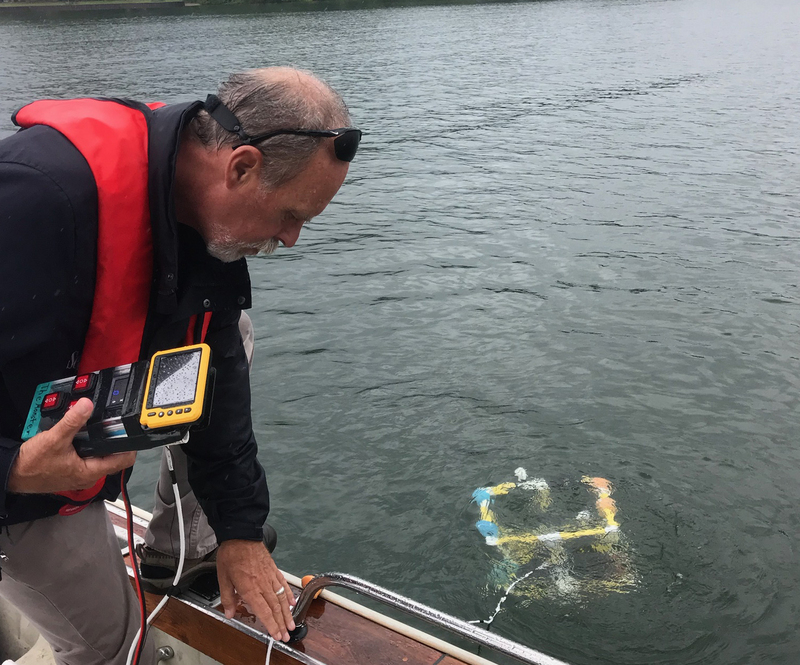 PA Sea Grant's David Boughton prepares underwater ROV to gather water quality data.